Meet in the Fort Hancock parking lot behind the missiles. See the pictures below. Take the Garden State Parkway to exit 117. From exit 117 follow Rte 36 east for 13 miles to the Highlands bridge. Cross the bridge, stay in the right lane, and follow the exit signs to Sandy Hook. Continue north on Sandy Hook to the park entrance. Follow the “once in the park” directions below. Follow Rte 36 east for 5 miles, then turn left to head north on Ocean Boulevard (Rte 36). After 6 miles, just before the Highlands bridge, bear right to stay on Ocean Avenue and follow the signs for Sandy Hook. Take Rte 537 through Freehold, then turn onto Rte 18 south (signed for Shore Points). Follow 18 to to exit 13B, signed for Rte 36 east (Eatontown and Long Branch). After the merge follow Rte 36 east for 5 miles, then turn left to head north on Ocean Boulevard (Rte 36). Drive past all the parking lots, past the guard shack, then continue for another 2 miles to the second pair of missiles (not the first!) standing in front of you (see the picture below). 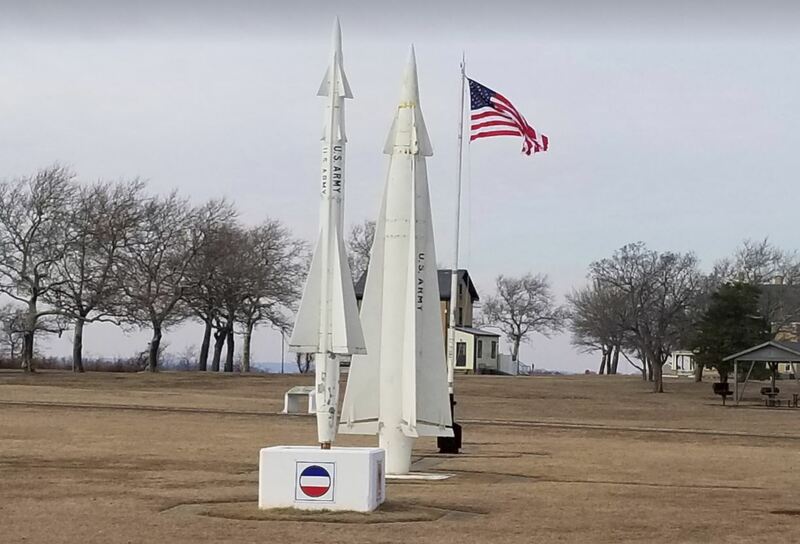 Bend right around the missiles onto Magruder Road and pull into the parking lot on the left behind the missiles. 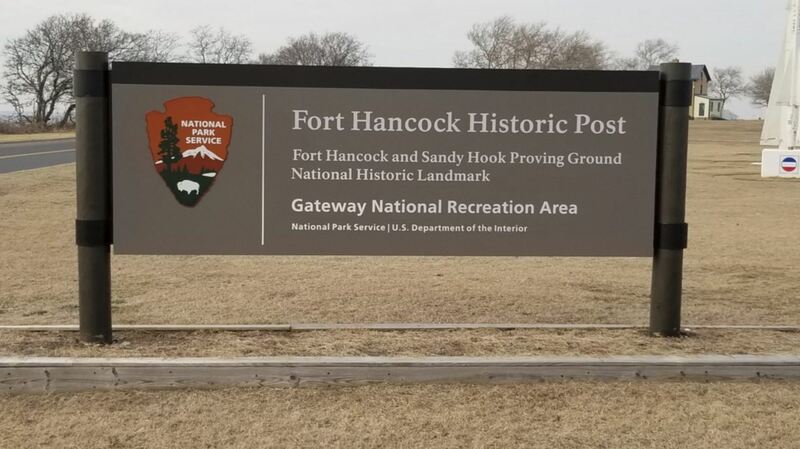 The total distance once you’re on Sandy Hook to the meeting point is 4.2 miles.